AI is a popular topic in healthcare. However, hospital executives are asking fundamental questions around how and where to apply AI in its current state within their facilities. 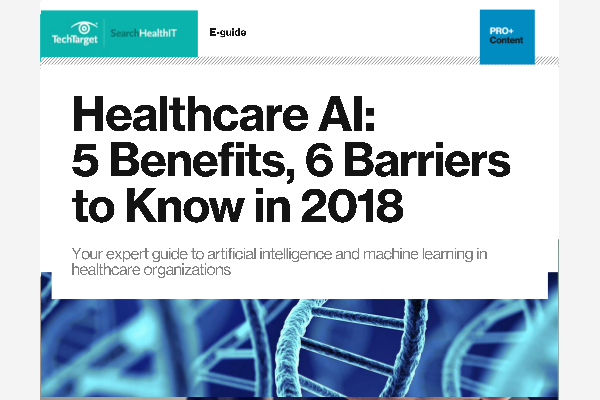 In this expert guide, learn 5 benefits and 6 barriers hospital leaders like you must know before adopting AI technology. The healthcare industry has to get better at data management basics before they push headlong into the adoption of analytics tools. Providers trying to gather different forms of data into their EHR can be aided by using a vendor-neutral archive.